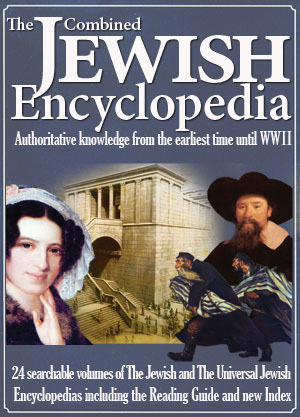 An amalgam of two multi-volume Jewish encyclopedias--The Jewish Encyclopedia (in 12 volumes plus Index) and The Universal Jewish Encyclopedia (in 10 volumes plus Reading Guide) -- The Combined Jewish Encyclopedia is the largest Jewish encyclopedic resource ever published anywhere. The Encyclopedia combines articles covering virtually all faces of Jewish life and experience starting from the earliest years and until 1943. The two primary reasons for combining these Encyclopedias are to allow a reader to search two sets of Encyclopedias simultaneously and create additional savings if the two Encyclopedias were purchased separately. The Brown-Driver-Briggs Hebrew and English Lexicon (Complete and Unabridged Electronic Edition) by Brown, F.; Driver S.; Briggs C.
Please Note: To read our e-books, you need Adobe Acrobat or its free Reader (you can get one from here). Once you have installed it, download and install one of our free security plug-in for to unlock the books that you have purchased . If you have not done it already and if your have either PC or Mac, please click here to install now free security plug-in from FileOpen. For Linux, click here and choose either "Open" or "Run".